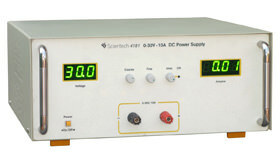 Power Supply is the most indispensable component of any electronic laboratory. 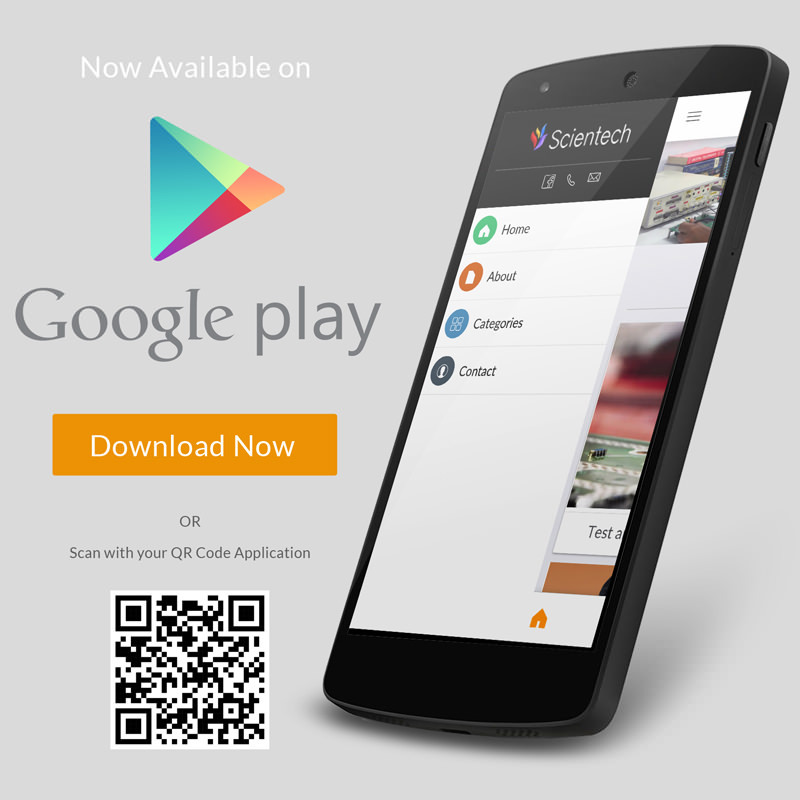 A reliable, most accurate, fully specified, guaranteed and an efficient Power Supply Equipment are thus manufactured on a large scale by Scientech Technologies which has robust output protection and fault detection capabilities. DC Power Supplies with Different specifications of Voltage and Current are being manufactured for various Applications. The DC power supply converts the conventional 110 V or 220 V alternating voltage into continuous pulsating DC voltage (+3.3 V, +5 V, +12 V and -12V) used by various electronic components. A DC Power Supply also regulates the voltage to eliminate spikes and surges common in most electrical systems. An ideal power supply would be characterized by supplying a smooth and constant output voltage regardless of variations in the voltage, load current or ambient temperature at 100% conversion efficiency. Also, the comprehensive protection functions of the power supplies equipment ensures safety of an individual working with them. Power Supplies with single and multiple-output have requirements in various fields such as education, research, design and automated testing. Type of Power Supplies: Linear and Switching Mode. In Linear Power Supplies AC Voltage of 110V or 220V from the mains supply is converted into lower AC value (e.g. 5V) by using a transformer. Now, this is converted into pulsating DC Voltage supply by a set of diodes, which is then filtered by an electrolytic capacitor. 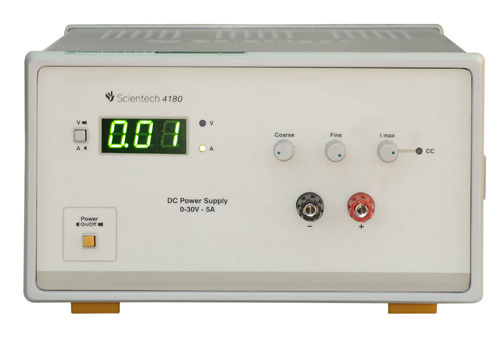 This pulsating DC Power Supply is then made constant after passing it through a zener diode. Transformer size and the electrolytic capacitor capacitance are inversly proportional to the frequency of the input AC volatge. So, the lower the AC voltage frequency, the bigger the size of those components and vice-versa. Line and load regulation with Linear power supplies are always better. In case of a high frequency SMPS, the input voltage has its frequency increased before going into the transformer. A Programmable Power Supply is often used as part of a computer-operated system for testing or production. It is capable of controlling its operations remotely through numerous types of computer interfaces like IEEE 488 also known as GPIB and RS32. Programmable Power Supplies (especially Programmable DC Power Supplies) has wide range of applications such as semiconductor fabrication, battery string stimulation, compliance testing, x-ray generators, process control, power conditioning applications etc. The output voltage and current are continuously displayed on the front panel display and LED indicators show the complete operating status of the power supply. In Programmable Power Supply parameters such as volatage, current, frequency etc. all can be controlled remotely. A Programmable DC Power Supply has many Digital I/O for direct communication with other devices and instruments.